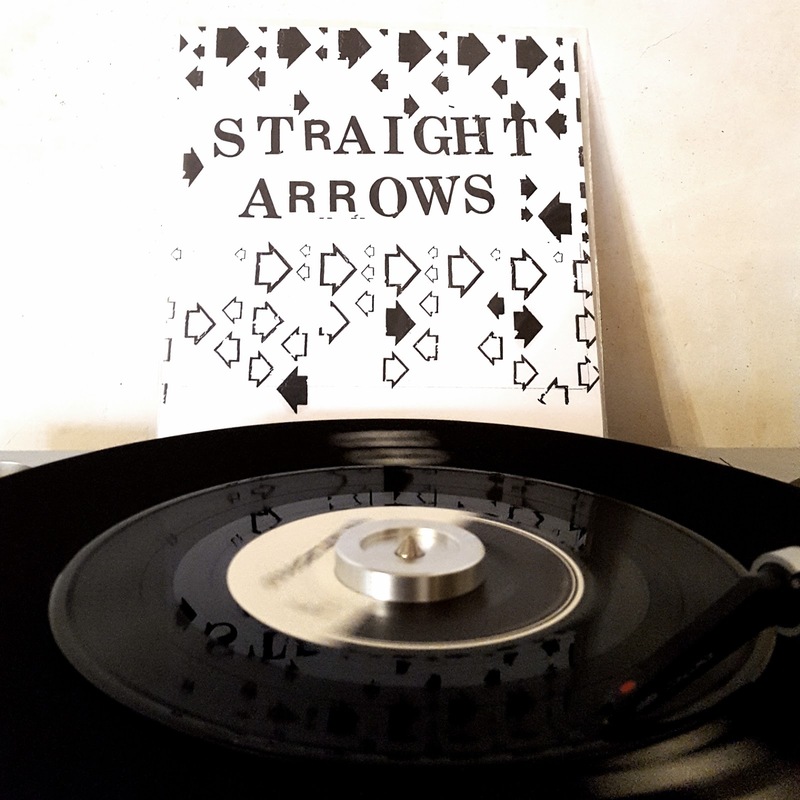 I've heard the name of Australia's Straight Arrows mentioned quite a few times over the last decade or so. Somehow though, I have never actually consciously HEARD them til this recently released two songer on Spacecase Records. There's a durability in the way some bands can have guitars wring and twist Byrdsian chimes into curious, different new shapes. "Out and Down" is one of those kinds of songs that does that thing. Wrap a blanket of fuzz around that mutated jangle, add a swing that's well adept in both stomp & way. Then dip it in a light & chilly mist of echo. Don't worry about it getting too icy though. The heat coming off of Owen Penglis' bratty bellow practically starts a fire. Out & Down / Franchisee by Straight Arrows If side one is a piece of hazy and wiggly psych punk that provides a ying, side two's ditty celebrating the idea of being a small business owner that still has to answer to a corporate office,"Franchisee" is a garage punk hop around that works as a quick and smart-alecky yang. Doug Mcdade And Purple People "I Wanna Do It"